Were you accused of operating a vehicle under the influence of alcohol or drugs? If so, you need to be familiar with the criminal and administrative consequences that will follow. Don’t make the mistake of trying to argue with the officer at the scene or going through the legal process of defending yourself without a lawyer- both expose you to major mistakes. It’s far better to find a Massachusetts OUI attorney immediately after being charged. The whole incident might seem like a blur which makes it important to retain a Springfield Massachusetts OUI lawyer promptly. Your lawyer can tell you more about the various consequences of a conviction and what things you need to do to take action quickly to protect your right to drive. There are several different court events involved after you are charged with OUI in Springfield Massachusetts. These initiate with your arraignment date which is when you are formally made aware of the charges against you and the court determines whether or not to release you on your promise to return to court. A pre-trial conference is then scheduled within four to six weeks of the date of your arraignment. The purpose of this is to give you all of the necessary information about your case and to help you learn more about the prosecution’s case. More than one pre-trial conference may be scheduled based on your individual case. The likely next step is to initiate a trial. This usually takes one day and is in front of a jury or a judge. Sometimes a bench trial can give the defendant in a Massachusetts OUI case a better chance to obtain an acquittal. All of the evidence is evaluated to identify whether or not you are found guilty. You may have other opportunities to avoid more serious consequences of a Massachusetts OUI if you begin by speaking to a knowledgeable attorney. 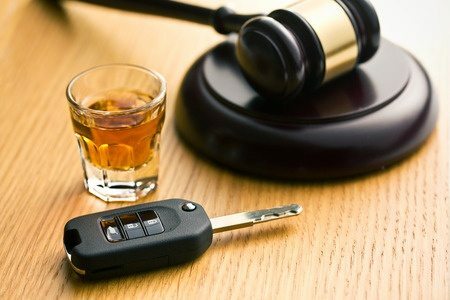 Do not wait to get help from a dedicated lawyer if you find yourself in this situation because being accused of an OUI can impact your future and could lead to the loss of your right to drive.